The game of ping pong today has suffered a couple of modifications from its original form that the English military officers in the late nineteen century first played. Back then only the aristocrats and high class society members were able to play what was known as Whiff-Whaff or Gossima. However, nowadays everyone around the globe can play the game of ping pong because all you actually need is an empty table and a couple of ping pong rackets. Ping pong can be played by both recreational and professional players as it is a sport that has been admitted into the Olympics since 1988. The very first game of ping pong was played with whatever those bored military officers found in their reach. Therefore, the first ping pong rackets consisted of cigar box covers, the net was created out of a careful arrangement of a pile of books, while the balls were carved out of champagne corks. However, nowadays the equipment necessary for playing the game is affordable and can be found virtually in any sport store. Nonetheless, bored people that are too lazy to go to the store still improvise, even though the quality of a ping pong game played with books as paddles and a paper ball is not the same. Because the cigar box covers used as ping pong rackets were very unpractical and imprecise, the need for the first official paddles was imperious. 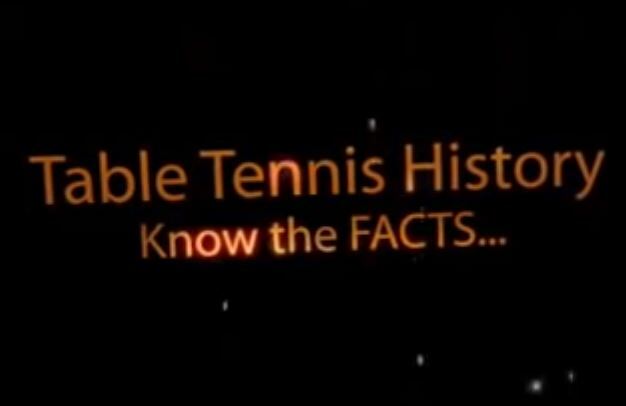 The early tennis table bats were manufactured out of cardboard that was covered with sandpaper, cloth and even leather. Other early models included rackets in the form of small drums that had velum stretched over the casing. All these early models of different sizes would normally create a sound that nowadays is known as ping pong. However, the very first ping pong rackets that can be considered the ancestors of the modern paddles were developed in the early twenty century. Goode had the idea of creating a paddle from gluing together two sheets of pimpled rubber on a wooden blade. Soon after he designed this paddle the first unofficial ping pong championship took place and twenty years later the idea of an official tournament and a ping pong association was born. Soon after ping pong started having official tournaments in England, in the USA B. Hock started exploring the different ways this game can be played, thus the first defensive paddle was designed. Even though the defensive ping pong rackets were stiffer and could be adapted to offensive playing styles as well, Haroi Satoh though that he can introduce more fun into the game if the paddles were to make the ball spin more. Thus he designed the first foam rubber paddle that allowed the game to be played faster and with more spin. Ever since Haroi Satoh’s paddle was designed, the game captured the attention of more and more people. This game is such an attraction that billion dollars industries exist only from manufacturing ping pong equipment. Nowadays it is even considered normal for a household to have a ping pong table if they have the space to deposit it.